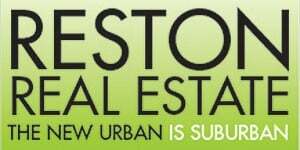 The following open letter by Aaron Gordon of the Reston Merchants Association is offered in response to the open letter penned by Boston Properties that appeared on Reston Now on March 3. Reston is a unique place. Besides living, working and playing here, we are a close-knit group, brought together by the desire to know each other and to be part of a distinct community. Boston Properties’ implementation of a paid parking system is tearing the fabric of who we are, how we choose to live and what we do within Reston. For 26 years, we have enjoyed the ability to park in Reston Town Center, meet friends or be alone, go to work, walk around, shop (or not), dine and take advantage of the entertainment opportunities. The Town Center has been a formal and informal gathering place, a place that often costs nothing to use, but provides much enjoyment. Sadly, Boston Properties’ decision to install paid parking has turned a once vibrant community into just another mall. Boston Properties has given many excuses over the past year for its decision to institute paid parking. Excuses like parking convenience and combatting Metro commuters. Don’t let them fool you … the truth is there is only one reason to charge for parking — profit. Ray Ritchie, Executive Vice President of Boston Properties, set out his case back in 2011, when in a shareholders call, he laid out just how much money the company would make by charging us for parking. Ritchie outlined that the paid parking plan would make Boston Properties $8 million per year and would be worth $130 million of additional value to the company. 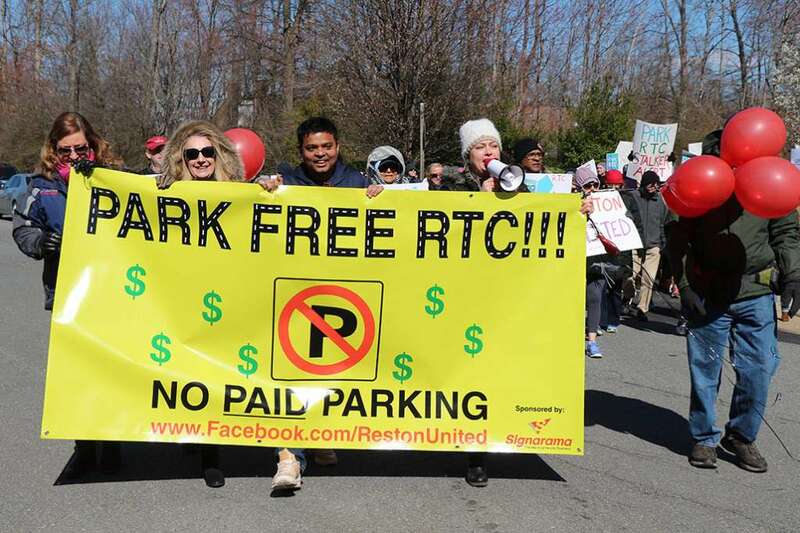 On March 3, 2017, Boston Properties, in an open letter to the community published in Reston Now, stated that their three primary goals for activating paid parking include protecting parking rights for the RTC tenants and visitors, enhancing the parking experience of tenants, visitors and patron and augmenting revenues dedicated to reinvestment in the Reston community. In the same letter, Boston Properties listed a series of reasons attempting to validate their paid parking program. We find many of these justifications to be inaccurate and offensive and underscores Boston Properties’ overreach. Paid parking will help manage unwarranted commuter parking. Commuter parking was never the issue. It is easily solvable by instituting 3-4 hours free parking and charging commuters. Also, Boston Properties lumps overnight and out-of-town parking into this category. This is different from commuter parking. Boston Properties’ paid parking plan is an overreach designed to add revenue for the company. Boston Properties is committed to assisting retailers during this period. There is not “regular communication” and “open and honest dialogue.” Rather, Boston Properties gives the same automated answer to everyone, which is to say that it will take months to analyze the situation and right now it is too early to formulate any conclusions. Paid parking is not having the adverse impact that has been reported. Why would merchants be so upset if their numbers were not down dramatically? Boston Properties’ statement is not accurate. Of course paid parking and the onerous parking system has had, and is having, an adverse effect. Most of the retailers have indicated that paid parking has been a disaster for business and projected sales are down dramatically. We are losing long-time customers who may never return. If this continues, many merchants have indicated that they will not be in business long. Each retailer chooses whether or where to validate parking. We find it galling that Boston Properties is actually attempting to muddy the waters and place the parking fiasco on the merchants of Town Center! Boston Properties, which already charges some of the highest rent in the area, now wants its merchants to pay them for validation as well. Validation is extremely costly for every merchant and not workable for stores whose standard items are low value like coffee, baked goods or ice cream. Many merchants simply don’t make enough revenue to pay additional fees for parking. Additionally, it is absurd to expect guests and shoppers to have to figure out which retailer participates in the validation program and where, if the store participates, they may park. No retailers have closed as a result of paid parking. Two stores, Origins and BGR Burger, have recently closed and one said that the new paid parking was the “nail in the coffin.” At least one other store has indicated that it will leave when its lease is up in a year. And, new merchants are already shying away from RTC due to the disastrous impact of paid parking. Boston Properties has already made a number of changes based on customer feedback, including offering: free parking in garages on weekends, holidays and special event days; doubling the number of parking ambassadors, primarily at night to assist retail shoppers; installing additional onsite educational signage; adding a list of validating retailers to the ParkRTC app; regularly updating FAQs on the website. There is much confusion about this. As it turns out, free parking does not include street parking. It was also not free on MLK Day. And “special event” means any day that Boston Properties deems special, usually an event they are running to benefit their brand. The “parking ambassadors” are unfriendly and not helpful, and seem to be on hand mostly to warn you that you must pay. They are not knowledgeable about the system and generally can’t help guests figure it out. Educational signage? The signage is not succinct and/or user-friendly. One customer — an astronaut! — was having trouble figuring it all out in a timely fashion, and complained to the proprietor of the store she was in. Stop adding things to the app. Treat all retailers the same. Give everyone the same advantage in attracting shoppers. We want everyone to succeed. As for updating the app, you can update it every day and people still won’t care. People want free and safe parking. The ParkRTC app is secure to use, and most daily parkers are paying using the app. The app gets a terrible 1 1/2 stars out of 5 on its reviews from the app store. Users say they don’t trust it, and many wonder why Boston Properties needs all this information about RTC patrons. Boston Properties remains dedicated to nonprofit fundraising. Yes, Boston Properties scheduled its last nonprofit fundraiser to coincide with the rally residents and merchants organized against paid parking at the same time on the same day. They did everything they could to limit the protest, including restricting the group from rallying on Reston Town Center property. Boston Properties remains committed to this paid parking model which they believe meets the objective above. The longer this situation goes on, and with no negotiating with Boston Properties, the more people will go elsewhere, the harder it will be to bring them back and the community as a whole will become less desirable. Boston Properties will continue to support our community’s strategic plan. If the plan is to destroy Reston Town Center, this is the path to take. If the plan is beyond making more revenue, providing conveniences, services, and a gathering place for people to live, work and play, Boston Properties must reconsider the parking program they have implemented.